The most popular social bookmarking site ‘StumbleUpon’ has just released its free app for Apple iPad. iPad is ready to be officially launched tomorrow i.e. April 3, 2010. A collection of few good apps for iPad can now be seen on iTunes App store. 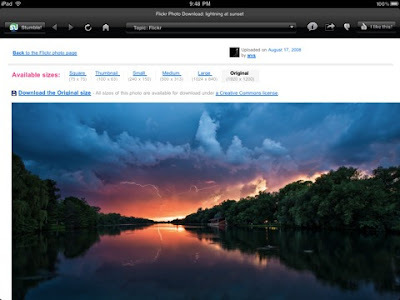 StumbleUpon iPad app helps you discover and share great websites. As you click Stumble!, we deliver high-quality pages matched to your personal preferences. These pages have been explicitly recommended by your friends or one of 8 million+ other web surfers with interests similar to you.